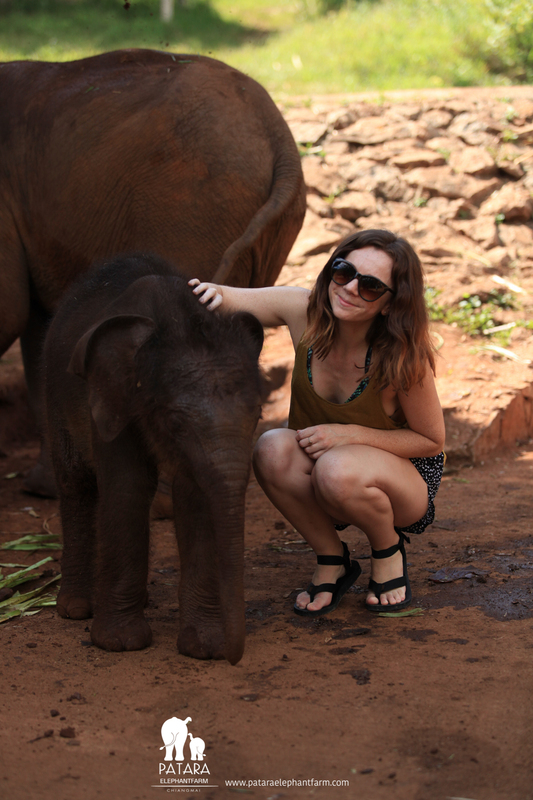 A day well spent at the ethical sanctuary in Thailand. Elephants have long been my favourite animal (along with bunnies of course!) 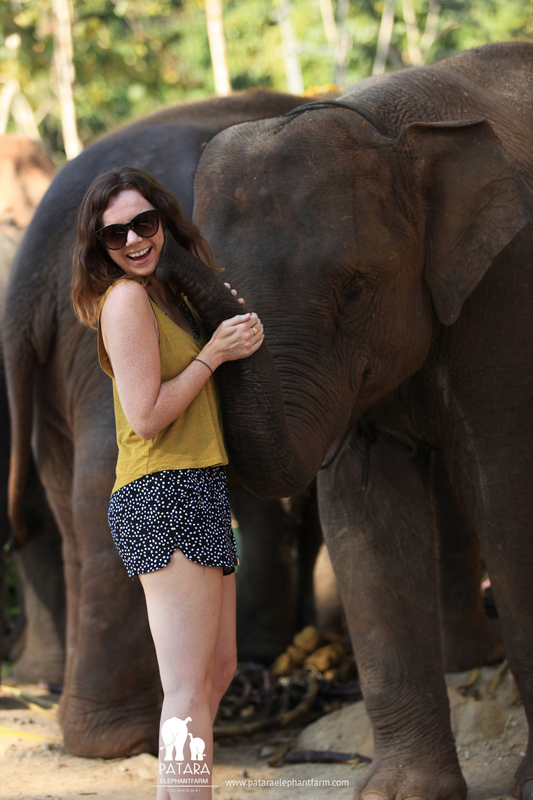 so as we journey through Thailand I’ve been tempted so many times with the excursions and day trips on offer it was a must-do on the bucket list. 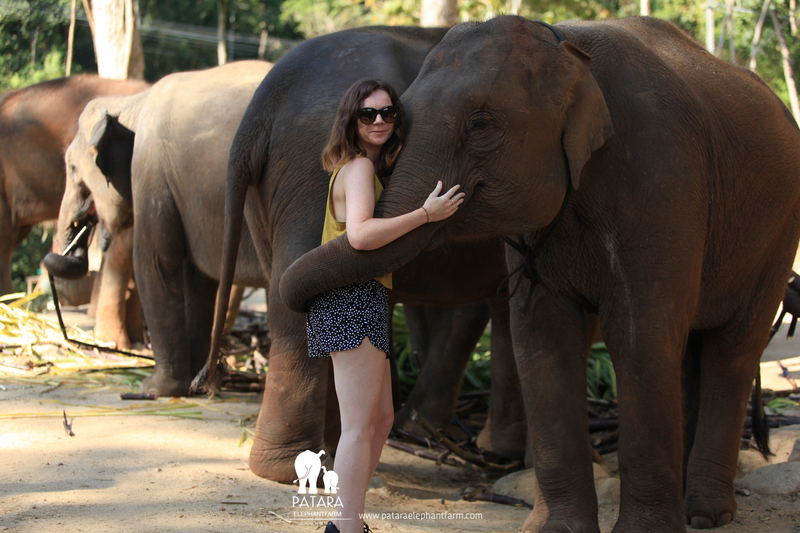 After some thorough research and recommendations, we chose Patara Elephant Farm, an ethical sanctuary that rescues elephants from logging, circuses, and brutal training they’re often subjected to for tourist entertainment. 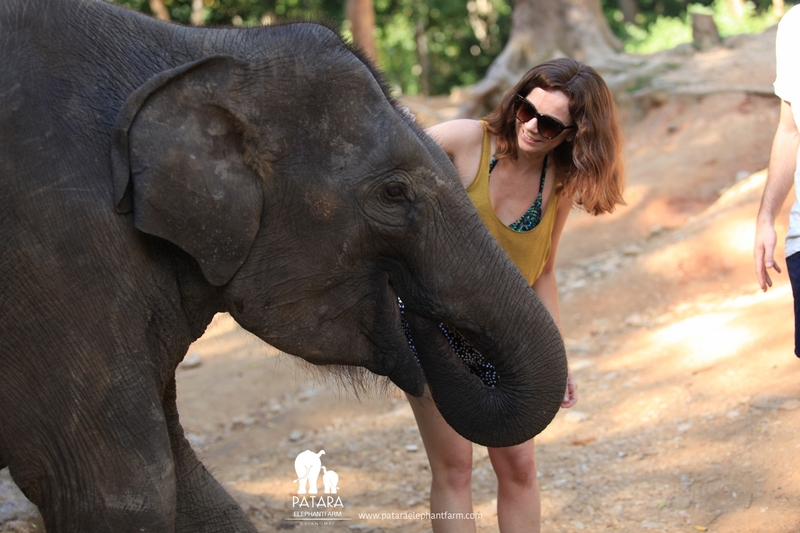 We began the day bonding with our elephant — feeding and brushing their tough hairy skin down. Roaming free, we followed them down to the waterfalls for bathing and playing. Each elephant had its mahout (traditional carer) and although mine didn’t speak any English I could see how totally smitten he was, they had such a bond. We were super lucky to meet a new baby too, just a few weeks old. It was a magical day! It was really important for me to support a responsible company that has the mammals wellbeing at heart. Elephant tourism is huge in Thailand and unfortunately many of it is very cruel, with the mammals overworked and abused. I found loads of articles online that helped me chose which farm I wanted to visit, but as a basic guide say no to shows / performances / riding. Although Patara doesn’t feature on this post there’s some great advice here on ecotourism in Thailand.